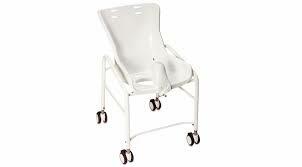 Stainless steel positioning bath chair with multiple seat, back and leg adjustments. 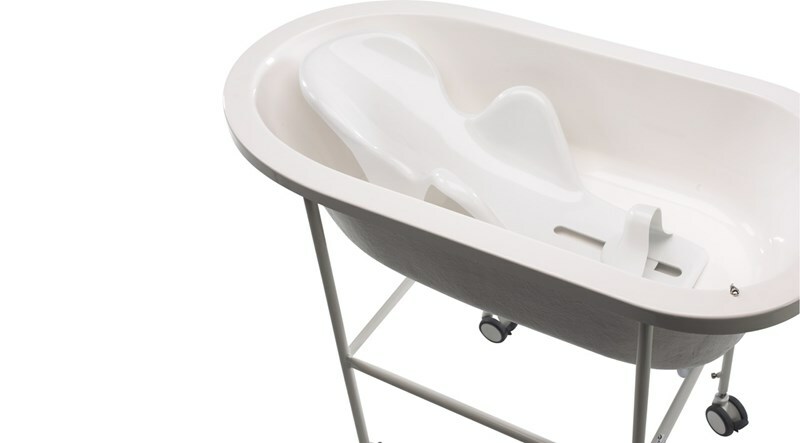 This bath chair is constructed of durable high-grade stainless steel and features bacteria and mildew-resistant mesh cover. 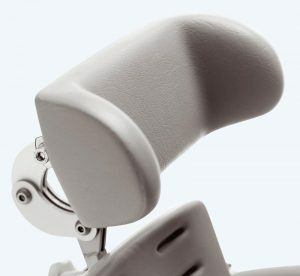 This chair provides support and positioning for children and adults who cannot stand or sit upright unassisted during bathing. 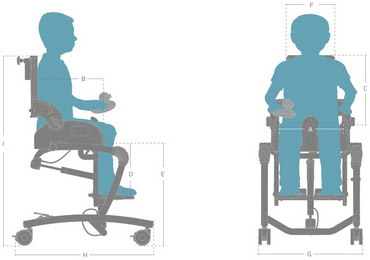 Can accommodate up to 70kg (160 lbs). Flamingo High-low is a modern and comfortable toilet/bathing chair that fits into every bathroom. 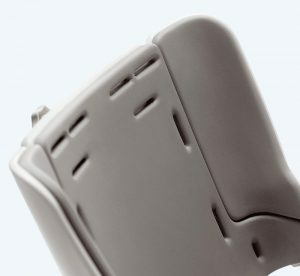 The inlay provides comfort for the user while the elegant design makes it easy for the carer to use. 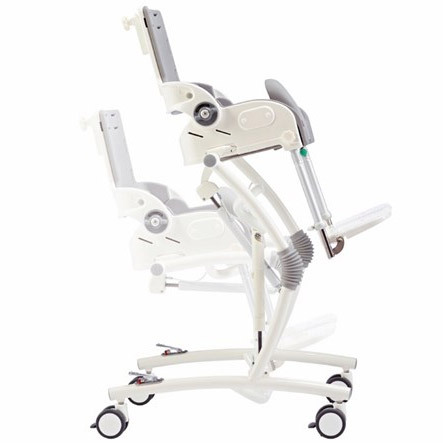 The height adjustable feature eliminates poor posture and allows caregivers to perform bathing and hygiene tasks in a convenient and good working position. 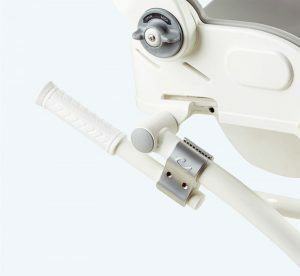 The Flamingo High-low has smooth and stepless height adjustment that allows for easy transfer with a hoist, while staying at eye level with the user, providing dignity in the process. 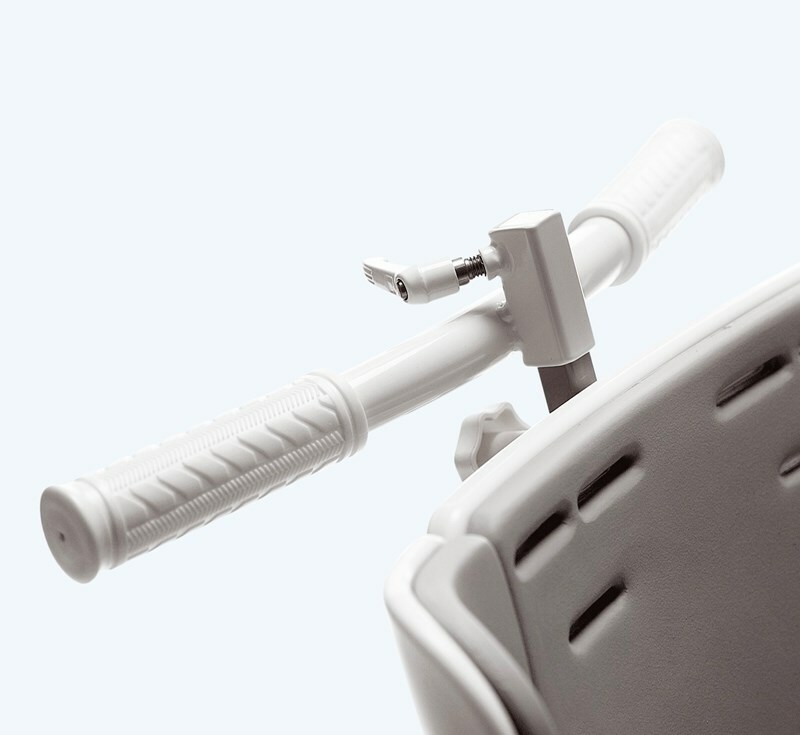 The Flamingo High-low adjusts 21 cm in seat height and will carry users weighing up to 70 kg. 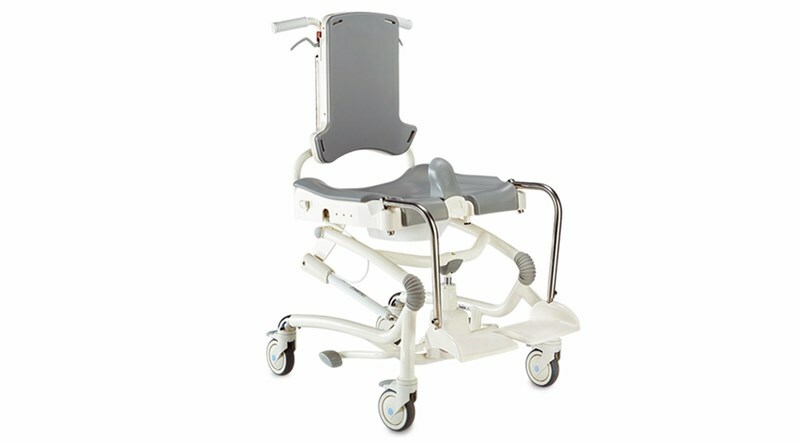 The Flamingo High-low is one of the most versatile products on the market with up to five configurations available. 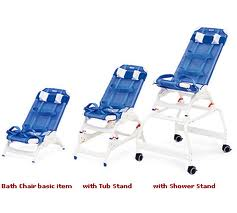 It can be used freestanding with a pan, directly over the toilet and as a shower chair. The seat is also removable for direct mounting on a toilet or in a bath.